But did you know that using a SMART goals template doesn’t guarantee you will set SMART goals? 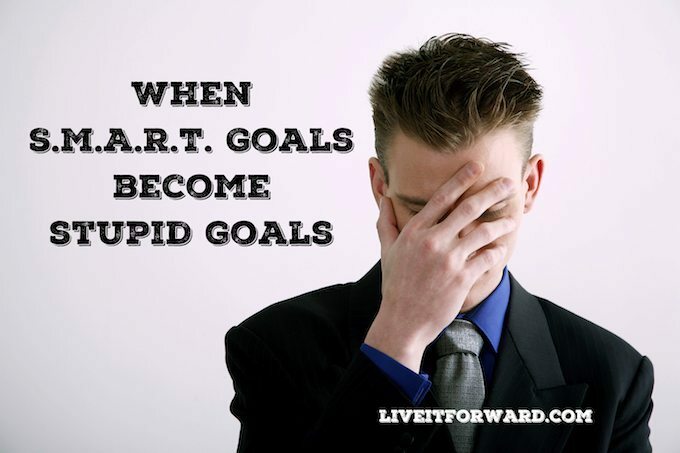 In fact, if you don’t know how to play up, you’ll end up setting stupid goals…and that’s not too smart. In Episode 026 of The Live It Forward Show, Kent Julian shares some SMART goal setting tips by explaining the importance of playing up before setting any goals. When you play up first, your goals instantly become more specific, more relevant, and more attainable. Kent also shares his RSVP strategy that guarantees you play up with the best people. If you are looking to set goals that will help you live it forward in your most important roles, you will definitely get a lot of out this episode! 3. Podcast Contest Winner: Congratulations Rob Clinton! Use the discount code PODCAST at checkout to receive the podcast special price.